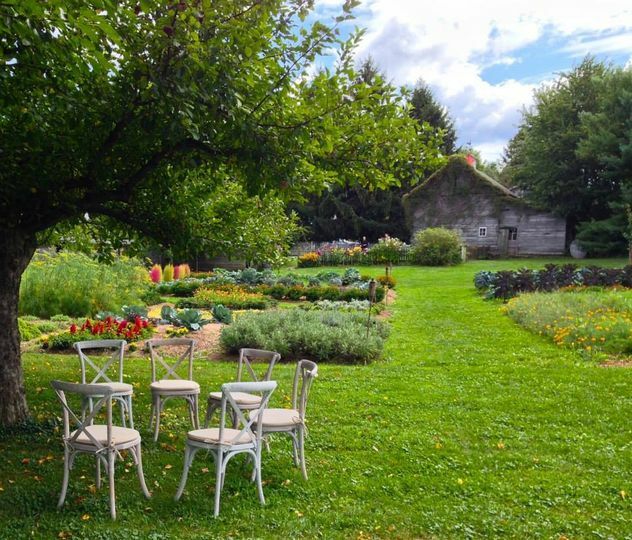 Liberty View Farm is a historic barn venue for couples’ weddings in the greater Highland, New York area. 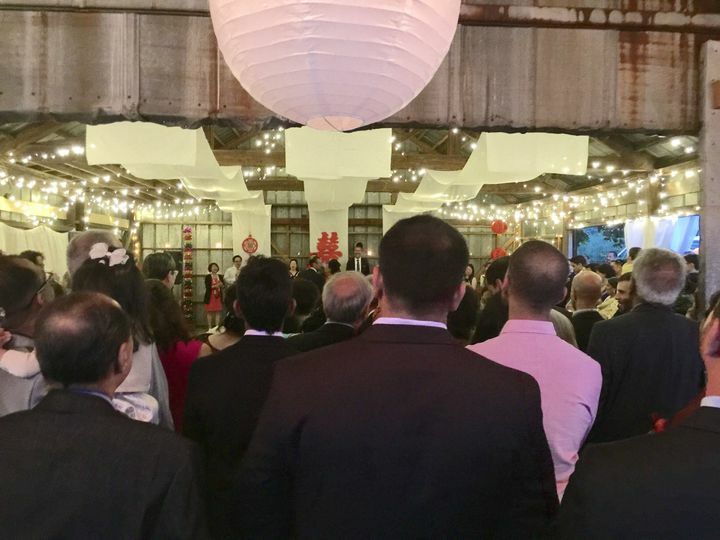 This venue has hosted couples’ celebrations for the past 20 years. It features wide open spaces, a team of detail-oriented professionals, and hidden gardens. 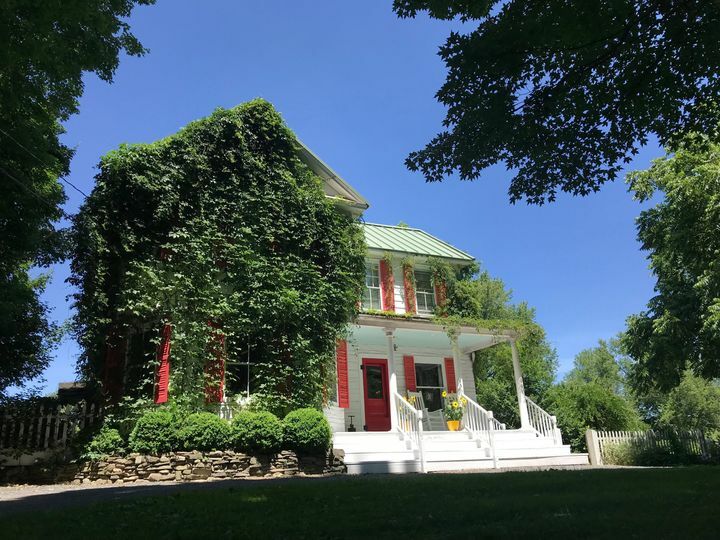 Couples will find the farm approximately 20 minutes from downtown Poughkeepsie, New York. 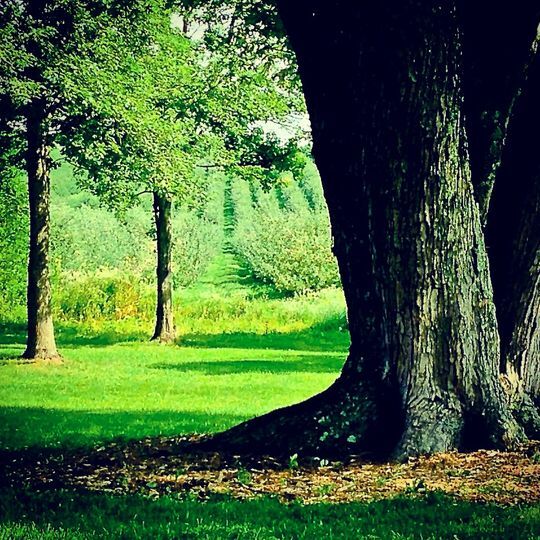 Couples can invite up to 300 guests to their wedding celebration at Liberty View Farm. Owner Billiam van Roestenberg and Magic Cathy help couples find the perfect space for their wedding at the venue. 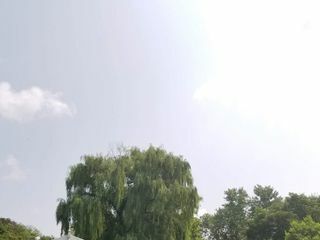 There are colorful gardens and lush green orchards. The small cottages make this venue feel as though it were plucked directly from a fairytale. 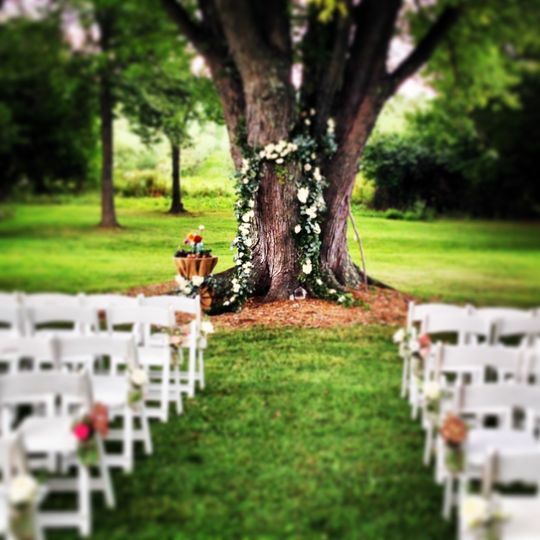 Couples can have their ceremony at the base of a tall and sturdy tree. 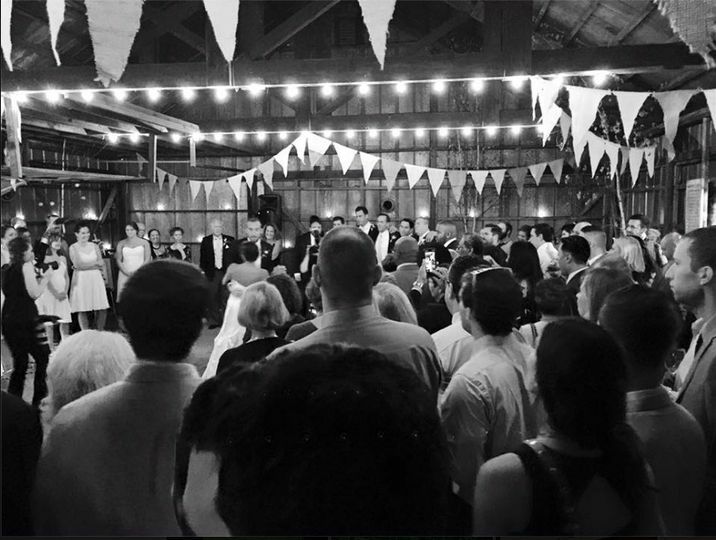 The Party Barn is a quaintly rustic locations for wedding ceremonies or receptions. It features a single-level open floor plan with wooden rafters and tin walls. Couples’s events will be illuminated by strings of lights and small windows. There are many barns on the property, as well as green lawn spaces, where couples can host a ceremony, reception, cocktail hour, or other wedding-related event. This includes bridal showers, engagement parties, elopements, and rehearsal dinners. For a couple’s wedding night, or on the night of the rehearsal dinner, this farm can host up to 60 overnight guests. They will find cozy country accommodations in farm houses and cottage-like properties. Rooms are beautifully furnished with antiques and fun themes. 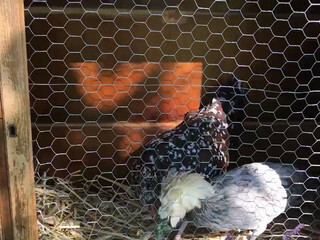 This working farm includes its own furry friends such as goats and feathery ones such as chicks and chickens. I absolutely love our venue and our event planner Billiam, his property is amazing and he matches! 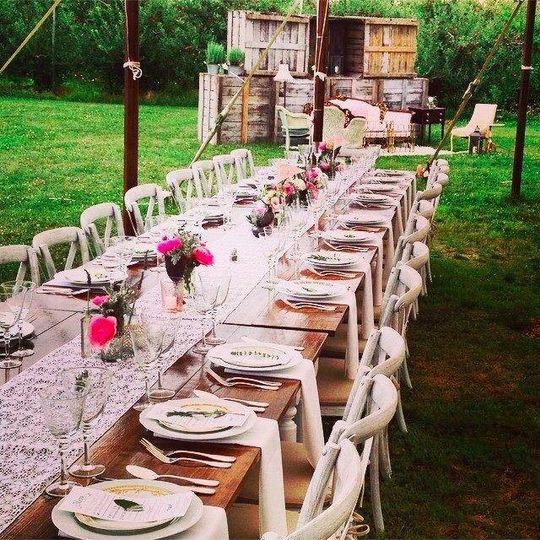 If your looking for a barn/ orchard themed wedding he is your go to! I can’t wait to get married in October 2019! I don’t often leave reviews BEFORE a service is completed but what we have experienced thus far is totally worth sharing with all of you—cloud 9 doesn’t even begin to explain it. Wedding planning, as most of us know, can quickly become overwhelming. It isn’t always easy to find venues that can meet ALL if not MOST of our standards. 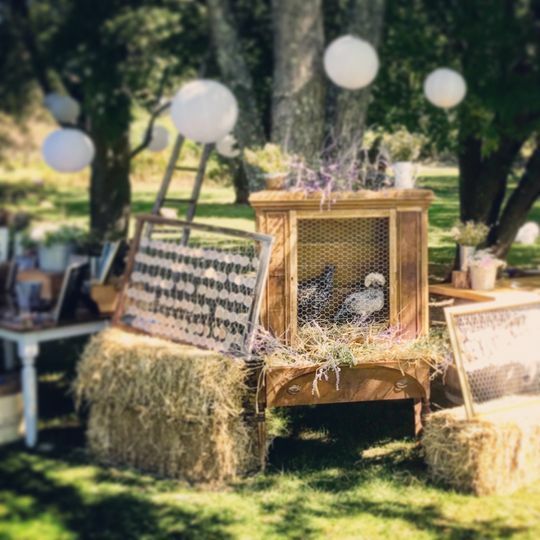 However, we happened to stumble upon Liberty View Farm in our search for the perfect, elegant yet rustic venue that was able to check off all of our ‘must-haves’. While searching and driving all over within an hour range from us, we had found this gem just about 2 miles from our home. From my very first phone call to Billiam, I knew we had found something special. But once we stepped foot on his property and had finally met in person, we instantly felt the magic. No joke, I kept glancing over at my fiancé and mouthing “this is it, let’s sign the contract”..meanwhile, we had only been there 5 minutes. Billiam has a way about him. He is open, honest, inviting, passionate, energetic, and caring. He absolutely LOVES his property and takes great pride in what he does, and it radiates from his every word. He takes great care in matching the couples to his farm, making sure that it is indeed a perfect fit for both parties involved. He is 100% invested in making this not just a party, but a weekend long celebration that will be forever remembered. The property is gorgeous and unique and what Billiam offers is unbeatable. From the handmade farm tables, to the rustic and vintage decor, to the flexibility, local accommodations, and our WEEKLY phone calls (yes, we speak at minimum, once per week to catch up and see where we are at) — we are completely satisfied! We feel blessed, CALMER, and sooo excited to have our wedding there October 19th, 2019! We will certainly share our final experience with all of you, but I am confident in knowing that it will be the best weekend of our lives. My fiancé and I will be getting married here this year! 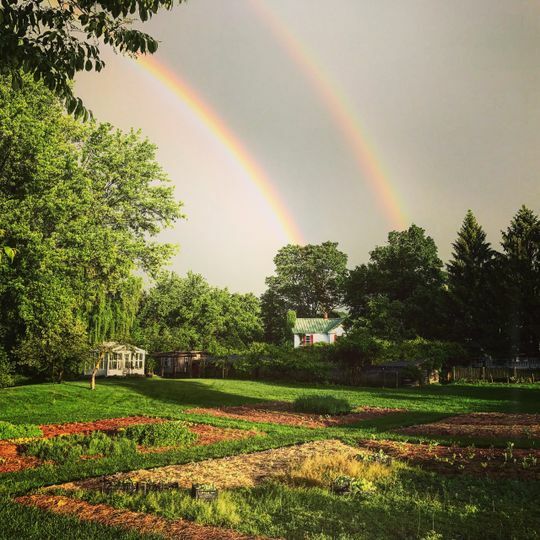 We cannot be happier with Billiam and Liberty View Farm. The planning process has been wonderful and we've gotten to visit the area with him several times. The personalization and care and warmth provided by Billiam and Liberty View Farm is second to none. we cannot wait to get married here! !